Since Scarlett's been born we've been using HALO products. We started off with sleepsack swaddles and then at 3 months old we transitioned into sleepsacks. Depending on the season, Scarlett goes to bed every night with either a cotton or a fleece sleepsack. They keep her secure and comfortable and I don't have to worry about the hazards of a loose blanket in her crib. 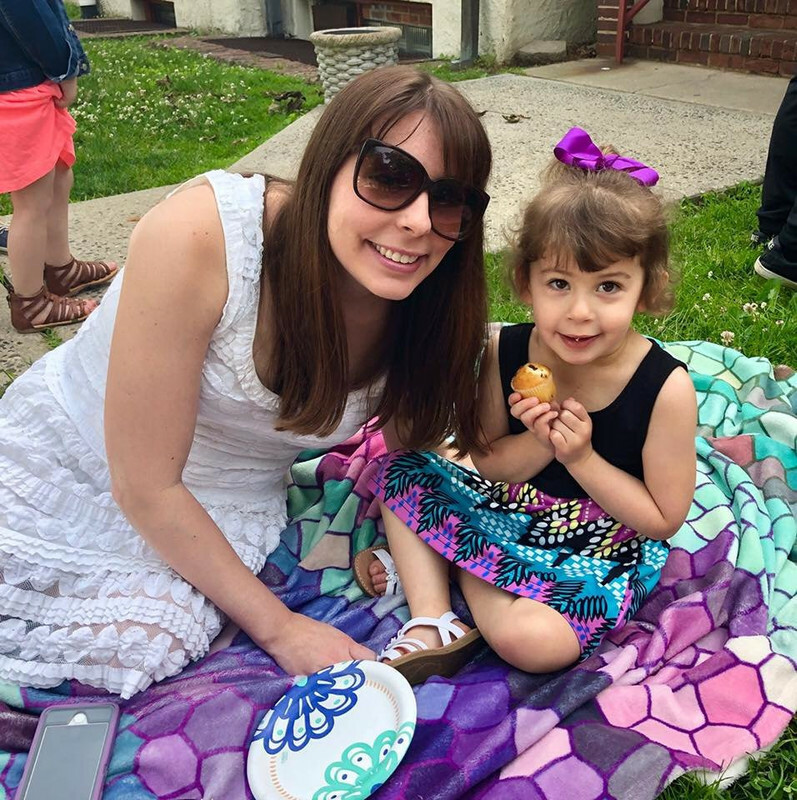 That's a win-win for mom and baby! You can't beat the pretty colors and patterns that sleepsacks are offered in either. Recently, Scarlett began walking. I knew it made sense for her to get an early walker's sleepsack. 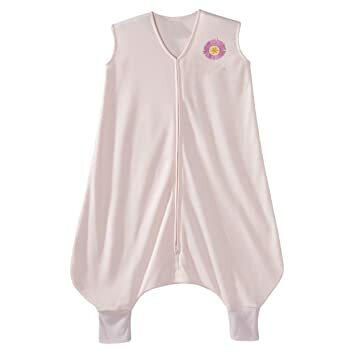 HALO came to the rescue and offered us the Lightweight Knit Sleepsack Early Walker Wearable Blanket in the pink flower print. This adorable sleepsack came to us in size large which is meant for 12-18 months and 22-28 lbs. Scarlett fits this age range perfectly at 15 months. This sleepsack for walkers provides greater mobility when children are awake, but keeps little feet covered and warm while sleeping. Your child will have the secure feeling that they need to fall asleep fast and sleep soundly throughout the night. Scarlett truly loves her sleepsacks and was very excited at the opportunity to have a new one. They come in fleece or cotton, and I opted for a cotton one because warmer weather will be here soon. Who doesn't love the cute pink flower design too? I did notice that the sleepsack was a little large, but this is because it allows feet to be tucked inside at night. I love this feature since you don't have to worry about having your child wear socks at night and potentially overheating. The sleepsack was easy to put on and zip up. The light pink color is vibrant and the flower detail adds an extra girly touch. Scarlett had no problems walking around in it and seemed very comfortable. I think she enjoyed the comfort of the sleepsack on her and it was like wearing a bathrobe. I'm very pleased with the quality of this sleepsack and will definitely be purchasing a fleece one for the winter. Don't ever worry about your child being cold at night again. With the comfort of HALO sleepsacks, they'll always be warm and toasty. *DISCLOSURE* Thank you to HALO for providing me with a product sample in order to facilitate this post. All thoughts are strictly my own.